Such a cool and unique opportunity for the winner and three guests. Here are the details and the entry form! Thanks to everyone who took part in our contest! You can win a trip to Nashville with the B105 Country Christmas Ticket Party. You can also purchase your tickets to go on a B105 plane for a Nashville trip hosted by Ken Hayes. The Bentleyville Tour Of Lights in Duluth has officially been nominated for the “Best Public Holiday Lights Display of 2018”. This national contest runs through December 10. Duluth's Glensheen Mansion is featured in a top 10 contest for USA Today for their Best Historic Home Holiday Tours. You can vote once a day up until December 10th. Alabama, the true super group of country music, is coming back to Duluth and you can win tickets with B105 before they go on sale. Kick back and enjoy a cooler full of beer this summer from Bud Light, Superior Beverages, and B105. 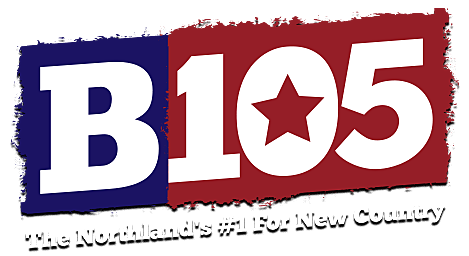 This Wednesday, June 20, B105 is giving you plenty of chances to win tickets to see Luke Bryan, WE Fest, Tim McGraw and Faith Hill, Taylor Swift and Tyler Farr with Nelly. Summit is holding it's "Craft The Name" contest again to help name the beer that they will unveil at the MN State Fair. We introduced you to the three students earlier this year. Now, let's help them win big!